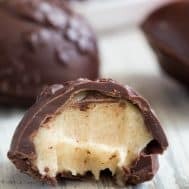 These homemade copycat Cadbury Creme Eggs are a rich and decadent paleo chocolate treat that everyone will love! 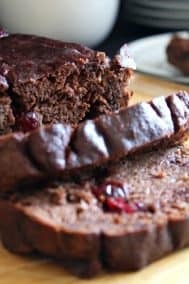 Easy to make – the filling comes together in just a few minutes and contains no nuts or refined sugar, and has a dairy free option. 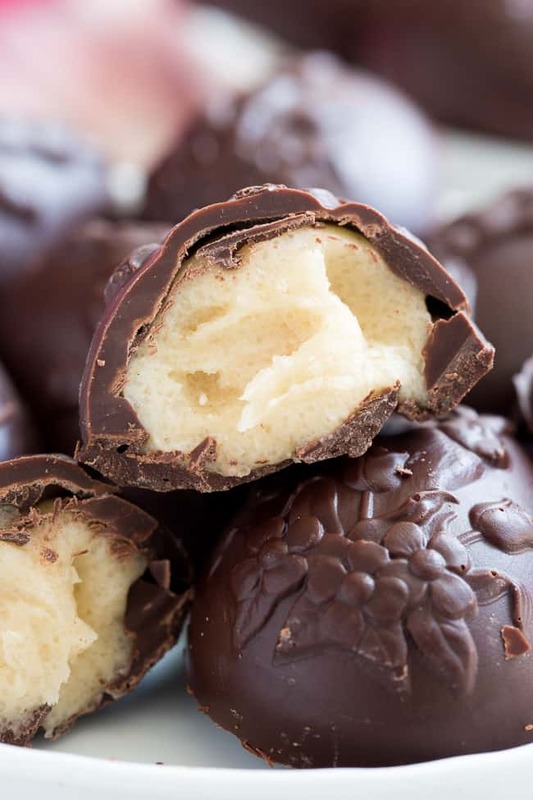 This recipe was born out of pure curiosity – is it even remotely possible to create a “clean(er)” version of the the almighty Cadbury Creme Egg? 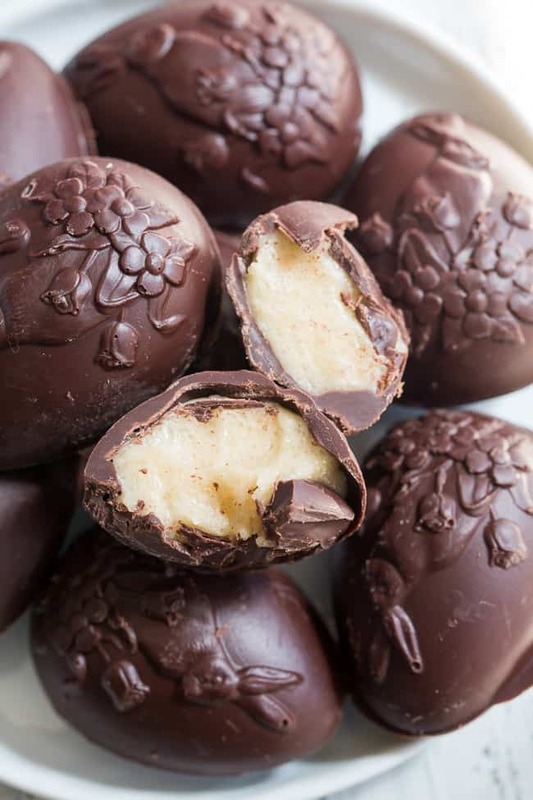 I seriously had my doubts, until I started doing a little “research” (AKA googling recipes) and discovered that I could probably swing a technically paleo version of these bad boys that would actually be acceptable to Cadbury loving kids and adults alike. Look, I’m not about to call these treats “healthy”, however they ARE made completely without any corn syrup, or refined sugar at all for that matter. That said, I used a whole lot of unrefined sugar to make this recipe, so, be warned – a sweet tooth is necessary for this one! My kids had a minor problem with the fact that the cream center is, well, cream colored rather than layered yellow and white. Truth be told – with a bit more effort you CAN make the yellow inside – by dividing the filling and coloring half of it with a bit of turmeric, then wrapping the light color around a little ball of the yellow. I remember WAY back when, before ever actually trying a Cadbury creme egg, seeing those glorious commercials where they break one apart and you seeing that dreamy, stretchy creamy center with the milk chocolate outside. I just KNEW it had to be the most incredible dessert on the planet, from that commercial alone. 5.) But can we still finish the package of the originals?! So, there you have it. Here’s the breakdown of what I did. I created my own version of powdered sugar by putting maple sugar (for the light color) and arrowroot starch in my food processor and blending until as powdery as I could get it. Yes, it’s a bit grittier than actual confectioner sugar, but, this didn’t bother me. If you don’t mind using organic confectioner sugar, that’s another option in place of the maple/arrowroot. I then blended grass-fed butter (ghee or palm shortening are good too) with raw honey until very smooth, added vanilla, salt, and the processed maple/arrowroot combo. I chilled the mixture for a little while so I could scoop it and roll it easily. It really couldn’t be easier and hey – no cooking necessary! If you’re looking for a cleaner version of this classic treat, you’re definitely in for a real, well, treat! I’m excited for you to try these – let’s go! 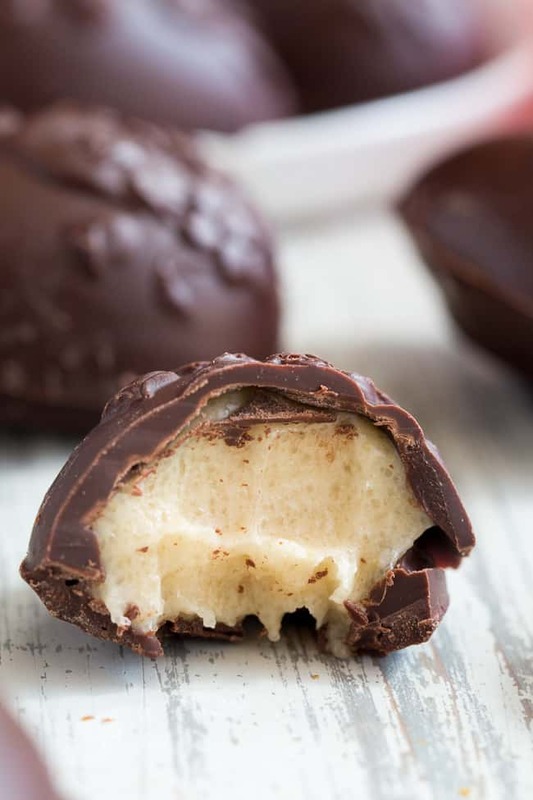 These homemade copycat Cadbury Creme Eggs are a rich and decadent paleo chocolate treat that everyone will love! Easy to make - the filling comes together in just a few minutes and contains no nuts or refined sugar, and has a dairy free option. Using an electric hand mixer, blend butter or shortening with honey, vanilla and salt in a large bowl until very smooth. Blend in the sugar/starch mixture until smooth, then place in the refrigerator or freezer to set for about 20-30 mins. Meanwhile, prepare the chocolate mixture. You have 2 options to make the chocolate: using dark chocolate chips or making your own chocolate. 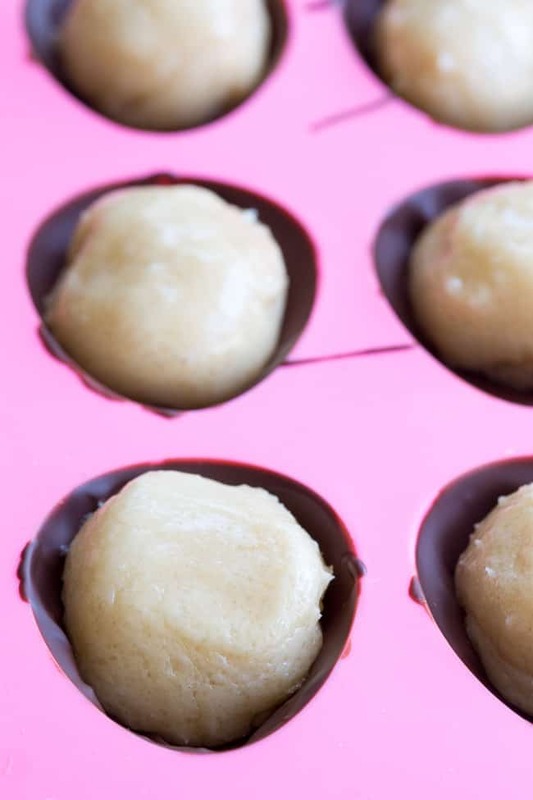 In a microwave safe bowl melt the chocolate chips and coconut oil on high heat, removing to stir every 30 seconds until melted and smooth. You can also do this in a small saucepan over very low heat. 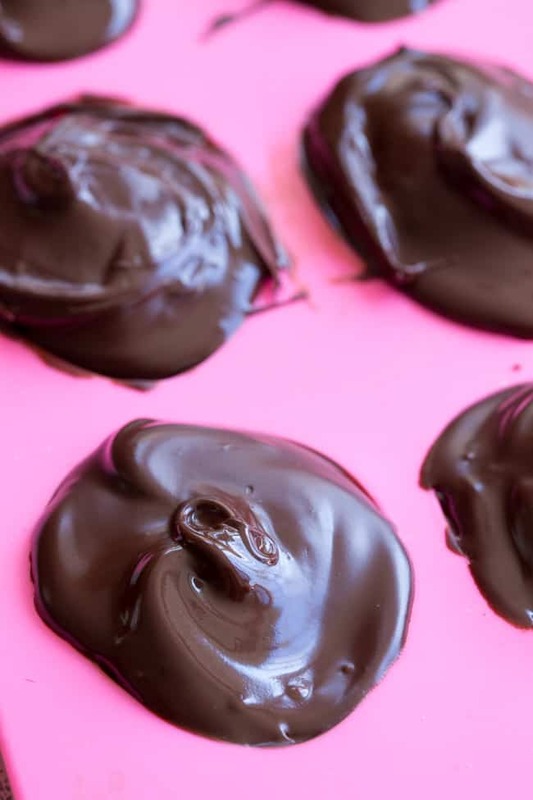 After preparing chocolate, use a spoon to swirl some all around the egg molds to completely coat bottom and sides, then freeze until set - about 5 mins. When all molds are filled, spoon remaining chocolate over the filling for each egg. Return to the freezer to set - this time about 15 mins. Once set, your creme eggs can be stored in the refrigerator to avoid any melting. Prior to serving, you can let them sit out a bit so the chocolate softens a little. 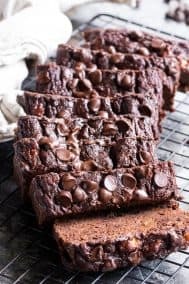 Want more Paleo friendly chocolate treats? Try one of these! 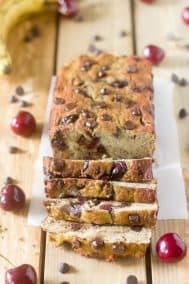 I get way too excited about seasonal desserts, so I love this recipe! And those embossed egg molds you used are so cute! These look absolutely perfect for Easter! So creamy and delicious! Am I missing where the salt is added? Sorry, the salt is added in when you mix all filling ingredients, I’ll include that. Looks yum! What do you think about using xantham gum in place of arrowroot powder? It’s just what I have on hand and am craving them now!